Mazda Furai concept The Mazda Furai concept (pronounced ‘foo-rye' – Japanese for ‘sound of the wind') is the latest in Mazda's family of Nagare-based concepts and celebrates 40 years of Mazda involvement in motorsport. The design team in California set out to develop a car that blurred the boundaries between road-car and racecar to create a fully functional 180mph rolling laboratory. The team began by taking the successful Mazda triple-rotor engined AMLS Courage C65 race car chassis and added a closed cockpit and Nagare design elements. But while the four previous concept cars explored Nagare's emerging design aesthetic, and featured core Nagare design elements such as the aggressive headlamps and unique five-point grille, the Furai has each element and detail serving a functional purpose. On Furai, Nagare's ‘flow lines' actually enhance the vehicle's aerodynamic performance, by channelling and directing the air flow over the body surface. At the front the air flow package takes air moving under the car and directs it inside the body to the engine-cooling radiators, while the form of Furai's side surfaces feeds air to the rear brakes, the oil cooler and the transmission cooler. Elsewhere, an under-car diffuser below the tail helps to draw the volume of air flowing through the radiators and engine bay, out of the car to ‘exhaust' between the rear wheels – achieving two goals by improving cooling and generating aerodynamic downforce. New Mazda RX-8 R3 Mazda is introducing a new version of its four-seater sports coupe with a refreshed design, evolved performance and aerodynamics and, for the first time on RX-8, an optional Sport Pack (standard fit in the UK). The new version, Mazda RX-8 R3, enhances its classic sportscar look with a new front bumper, front grille, intake ducts, headlamps, front fender designs, LED rear lamps and a redesigned rear bumper with larger exhaust pipes (now 90 mm in diameter). 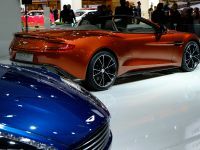 New designs for the car's alloy wheels have distinctive spokes that resemble the engine's rotor; and four new exterior colours are added. New interior trim materials add improved quality and feel. A new BOSE® audio system is also introduced. The twin-rotor RENESIS rotary engine continues – with 205ps or 231ps power, (depending on market, 231ps not available in the UK) – now evolved to deliver even more sports car driving fun. Upgraded Mazda BT-50 Making its European debut in London, the upgraded Mazda BT-50 has a new exterior and interior look, plus more equipment to boost the pickup's appeal. The refined, upgraded Mazda BT-50 inherits the athletic looks of the current model, while incorporating a touch of brawny truck toughness. Three body styles are offered, combined with a broader range of exterior colours, giving the BT-50 a sharper face with a fresh expression. Most models have body‑coloured flared wheelarches and dark tinted glass is now available for all windows behind the B-pillar. The BT-50 retains all the technical features and attributes of the current model, with excellent off-road performance and competitive approach, departure, breakover and tilt angles. 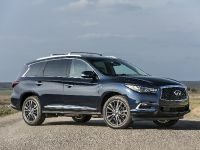 Two new options are introduced: a 156ps 3-litre turbo diesel and five-speed automatic transmission (for the UK only ‘Intrepid' model) and a Black leather interior package (most markets). Mazda2 3dr Mazda is exhibiting three-door versions of its all-new Mazda2 small car, including the 1.5 Sport model, for the first time in the UK. With a starting price of just £8,099 on‑the-road, the Mazda2 TS 3dr 1.3 petrol is one of the most price-competitive small cars. 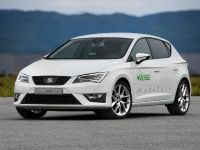 The newcomer features all the technology and attributes of the five-door hatchback, while delivering the same sporty feel to its dynamic drive at an even more affordable price. New Mazda2 is 100kg lighter than the previous model, thanks to Mazda's ‘gram strategy' diet, and the use of lightweight ultra-high tensile steels and new technology – leading to excellent fuel consumption and low CO2 emissions. The three-door model has keen pricing, £500 lower model-for-model, boosting the appeal of Mazda2 to a wider audience. 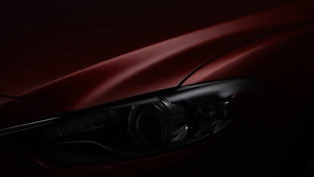 Mazda3 Mazda's top-selling model globally is the Mazda3, with more than one million cars delivered since launch. 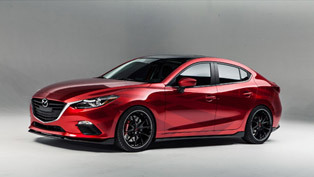 In the UK, that popularity has been boosted this year by the introduction of a 12-strong line-up of ‘upgraded' Mazda3 cars with four even more generous equipment levels and a choice of six powertrains. Starting price for the ‘upgraded' Mazda3 range remains £11,440 (Mazda3 1.4 S hatchback) and prices rise to £18,005 for the range-topping Mazda3 143ps 2.0 Sport Diesel hatchback with leather trim and a seven-speaker premium BOSE® audio system as standard. 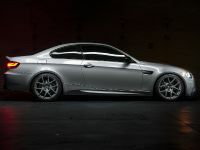 Four new body colours were added for 2008 – Copper Red, Stormy Blue and Metropolitan Grey (mica), and for the Sport models only, Crystal White Pearlescent. Mazda MX-5 Britain's favourite sportscar is available with a choice of traditional Soft-Top (from £15,750) or powered hard-top Roadster Coupe (from £18,600) models. With their more athletic and aggressive body lines, larger alloy wheels, more powerful engines and twin exhaust tailpipes – the third-generation Mazda MX-5 models continue to have a strong appeal. The Mazda MX-5 Roadster Coupe has the world's fastest folding power hard-top – up or down in just 12 seconds. Mazda MX-5 buyers can choose from three powertrains (1.8i or 2.0i with 5-speed gearbox, 2.0i with 6-speed), and a range of individual options and option packages to personalise their example of this iconic car. Today, the Mazda MX-5, together with the Mazda RX-8, accounts for one in every five sportscars sold in the UK. Mazda5 The upgraded Mazda5 range for 2008 offers customers a 10-strong model line-up priced from £14,770 (on-the-road) with a choice of four powertrains and four equipment levels. 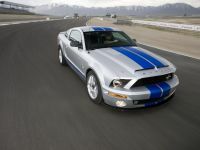 A new automatic transmission variant (priced at £17,310) is now available. The upgraded Mazda5 continues the original model's success with a refreshed design and a more luxurious interior finish, more comfort and convenience, new suspension settings for optimised handling and enhanced refinement, improved fuel economy and lower CO2 emissions. Mazda5 is still the only C-segment vehicle with twin sliding rear doors, now with electric power (as an option). Inside, the upgraded Mazda5 retains its predecessor's uniquely communicative interior – with Karakuri seating for up to seven people and maximum storage flexibility. Mazda6 The immensely popular new Mazda6 is marketed in the UK as a 25-strong range with saloon, hatchback and estate body styles from £15,110 (OTR). 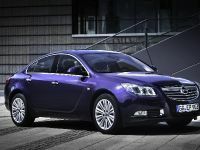 Five equipment levels – S, TS, TS2, Sport and a new Sports Luxury (SL) – are offered, with an automatic transmission option on two hatchback and two estate models. 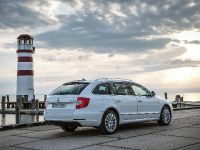 The 140ps diesel out-performs many potential rivals, and the appeal of the estate, with a price premium of just £700 over the hatchback and a maximum load volume of 1,751 litres, is expected to grow to account for 20 percent of sales. The range-topping ‘Sport Luxury' models come with full leather seats, a BOSE surround sound audio system with eight speakers, 18-inch alloy wheels and bi-xenon headlamps. Mazda CX-7 The 130mph high-performance Mazda CX-7 Sports Crossover vehicle brings the brand's unique ‘Zoom-Zoom' sportscar attitudes to the traditional SUV sector. Priced from £24,595, Mazda's CX-7 is more heavily oriented towards a sportscar in its styling and its driving dynamics, while offering a commanding driving position and strong road presence, together with the stature of an off-road vehicle. The CX-7's highly efficient 2.3-litre turbocharged four-cylinder engine (also featured Mazda3 MPS), generates 260ps and 380Nm of torque and power this Mazda through an Active Torque 4-wheel drive system. There is ample space for five occupants to travel in comfort, while the generous boot space (455 litres with the rear seats upright), makes this Mazda an ideal vehicle for multi-activity lifestyles. Heritage Mazda RX-7 Spirit R (Type A) The ultimate version of the Mazda RX-7, the limited edition Spirit R (Type A), will be displayed at BIMS in a ‘heritage' zone alongside the Mazda stand. Sold only in Japan, the 1,500 examples of the Type A featured a 280ps rotary engine, 17-inch BBS alloy wheels, Bilstein dampers, red brake callipers and drilled ventilated discs (all round), exclusive lightweight Recaro seats and a Nardi leather-rimmed steering wheel. The BIMS showcar is finished in Pure White.